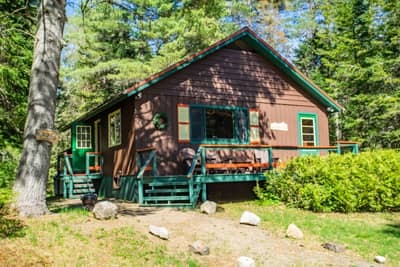 The Lake Clear Lodge is located in New York State's only Wilderness Canoe Region on 25-acres with private beach, nature trails, and Adirondack activities. Paddle, bike or hike from beginner trails to the backwoods in NYS only wilderness canoe region. 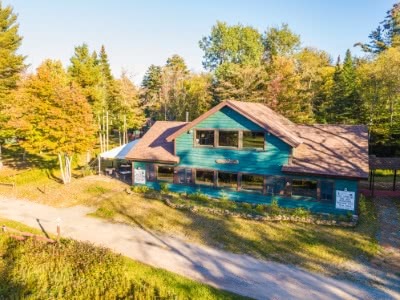 Ticket to the longest operating Great Lodge in the Adirondack Park, 25 acres of nature trails, incredible mountain-lake sunset beach, and iconic 1886 main lodge with hand-hewn beams, Speakeasy, and Lake View Great Camp Center. Lakeview artisan lodgings await with one of the world’s most spectacular mountain lake sunsets. 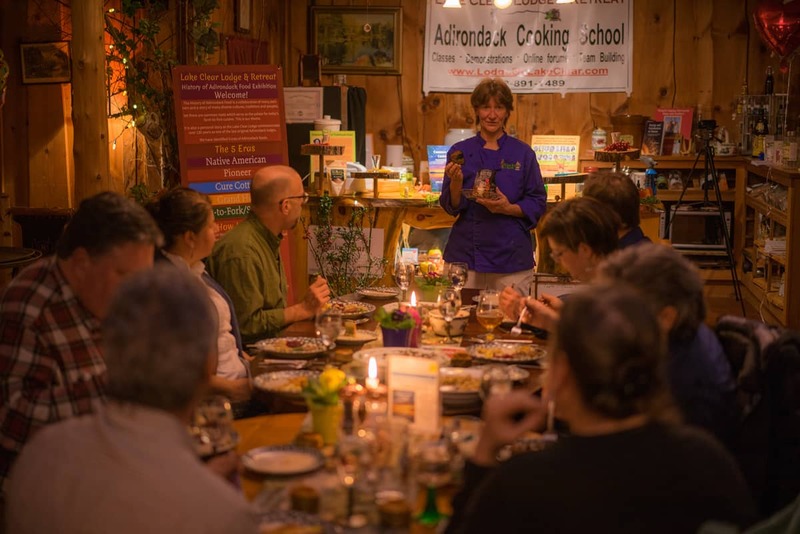 Adirondack nature-based culinary foods with outdoor and wellness experiences from yoga to guided naturalist walks and forest bathing. Cross Country ski or snowshoe our nature trails or don a snowmobile on the local trails, build a snowman, or simply relax in one of our artisan lodgings with crackling fireplaces and bubbling Jacuzzis. Tour & History. You’ll need a password to get into when the 1886 Lodge was a Speakeasy. Beware, we may be raided by a 1920’s Copper! Adirondack Great Lodge Food experience: The Park was an illustrious way point between the Canadian rum runners and New York City. 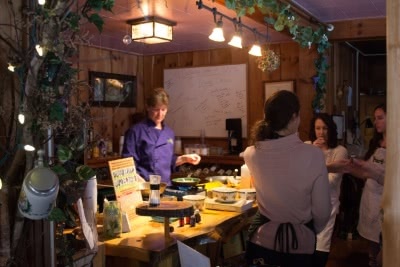 Sample Adirondack Speakeasy Prohibition foods with history interpretations. 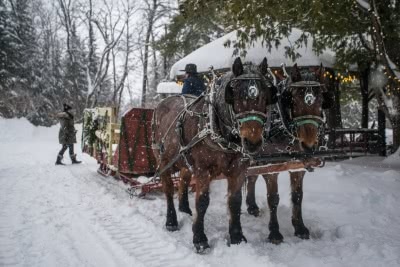 Lantern-lit Bootleggers Sleigh Ride. To the lake and through the woods! History of Prohibition Beer Workshop & Tasting: Did you know the modern craft beer revolution began in the 1920s? Now you explore in a microcosm the best of the Adirondacks. 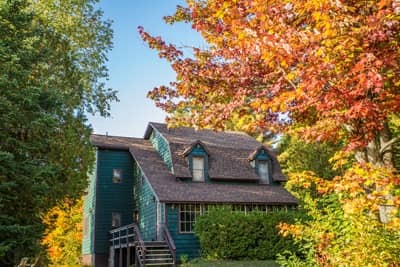 Travel through nature and history filled with great fun, hands-on experiences, food in an iconic Adirondack Great Lodge with artisan lodgings built by 5 generations of family, a living museum 1886 main lodge and 25 acres of woods and water. From the heart of NYS only Wilderness Canoe Region, you can now explore the historic village of Tupper Lake, the artisan community of Saranac Lake the Olympic region of Lake Placid. The blazing Adirondack fall colors, the smell of fall and the reminder of the Old World, what better place to be in than Hohmeyer’s Lake Clear Lodge rejuvenated by a first generation Old World family? 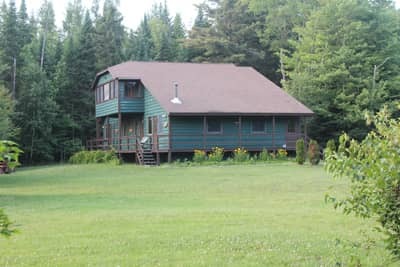 Welcome: to the Adirondack Park’s longest continually operating Adirondack Great Lodge! 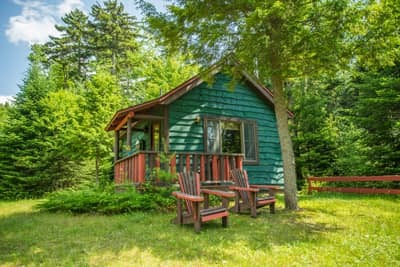 Relax in your artisan lodging: built in the Adirondack Great Camp style by generations of family, each with their own story to tell. History & Myths of Octoberfest Beer: Sample the history of Octoberfest beers. That’s only the beginning: as you taste, owner and beer lover Ernest Hohmeyer will be your Old World Beer Guide. 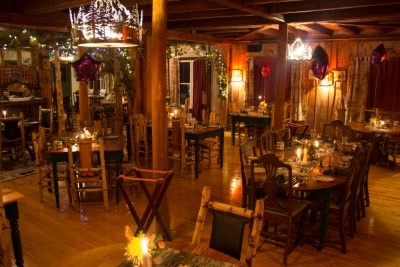 Adirondack Alps Pub Dinner: Did anyone say “schnitzel”? Informal Fireside Chat on Adirondack History: “How 50 years Made the Legacy of the Adirondack Park." "Living History: You’ll be Traveling in it Today!" Get a first-hand overview of the unique places that make our Adirondack History special. Adirondack Guide Day Tour: Depending on the season, highlights may include NYS oldest fish hatchery, Coolidge Summer White House, and the Six Nation Indian Museum. Visit the Trudeau Labs of the famous Cure Cottage era, and finish off with fun on the Adirondack Carousel whose animals are all hand carved by local artisans. Return to the Lodge: free time to explore our 25-acre estate, including one of the world’s most incredible mountain-lake sunsets. 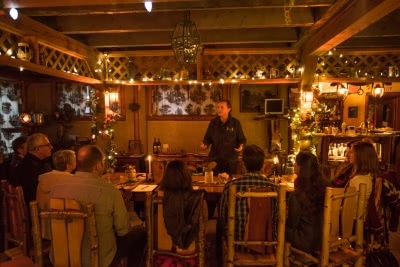 History of Adirondack Food Tasting Dinner: Savor the tastes of the 5 eras of Adirondack Food from the Native American and Pioneer periods to the Cure Cottage and Grand Hotel era. Finish off with today’s farm-to-fork table and a sneak taste into tomorrow’s Superfood’s. 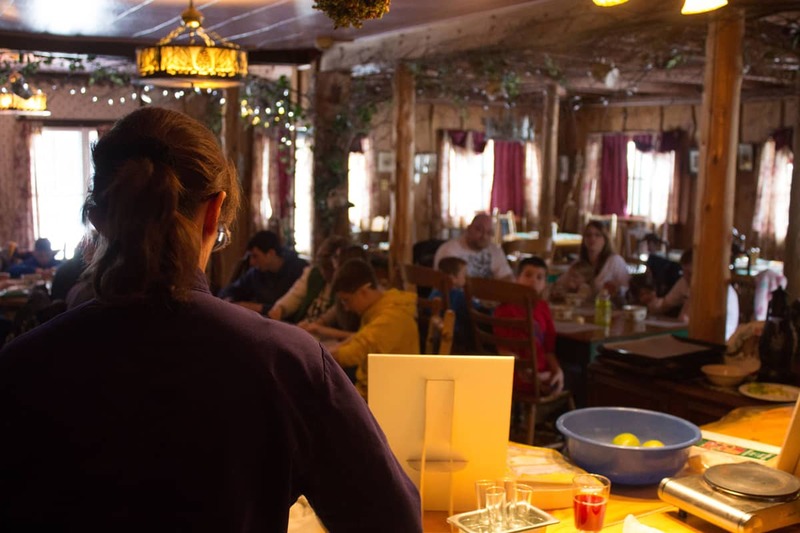 “Traditional Foods” Cooking Demo: You guessed it by now – it’s interactive – fun for families with kids as well as groups as you roll in the dough! Learn traditional food practices you can do at home. Immerse yourself in a host of informal adventures: These can include the Tucker Farm’s Corn Maze – can you find all the clues? Paddle New York State’s only wilderness canoe region. Travel to the heart of the Adirondack Park: on a national scenic-byway, “The Adirondack Trail” to the Adirondack Experience. This 121-acre indoor-and-outdoor experience is an “interactive journey that brings the spirit of the region and its people to life.” Hey, there is even a special display there about our Lodge! Or, relive the exhilarating Olympic History of Lake Placid: that hosted the 3rd Olympic Games in 1932 and again in 1980. Visit the Olympic Museum, ride the gondolas on Whiteface Mountain, rise to the top of the towering ski jumps, and if you feel adventurous ride in a bobsled! Old World Fireside Chat: Hear the stories of a European immigrant family arriving in the Adirondacks on a -40-degree day four days before Christmas! 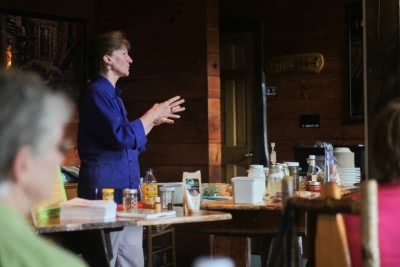 Cooking demo with Chef Cathy Hohmeyer: “Common Roots: 3 Foods from the Past for Tomorrow.” There are many ancient traditional foods we may have forgotten that you can do at home to give your menu an exciting new twist. Browse the Old World Kitchen Store: take home historic ingredients for your menu tomorrow. From shared lodgings to your own private chalet, we have a variety of group lodging options. The Lake Clear Lodge & Retreat offers three Group Experience packages - all which may be personalized. We have performed simple gatherings to beautiful Adirondack Great Camp Style experiences that have utilized our entire 25-acre property. Host group activities and food start from approximately $100 - $120 per guest. 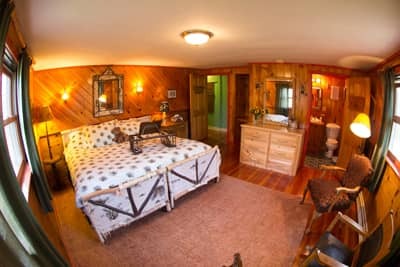 Hand-crafted lodgings typically range from $85-175PP. Seasonal and group packages are available. All rates do not include tax, gratuity and incidentals such as bar, etc. Typical Rustic Simplicity day events start from approximately $75 - $100 per guest not include incidentals. Minimum number of guests required. In our 3-day Classic Destination packages, group host investments start from approximately $130 - $165 per guest. Group lodging rates that require minimum participation are available. Classic Package day events start from approximately $100 - $125 per guest not including incidentals. **Best price. Minimum number of guests required. In this 3-day all inclusive experience investments that include food, lodging, facilities, and special activities start from approximately $200 - $275 per guest. Typical Great Camp day events start from approximately $125 - $150 per guest not including incidentals. 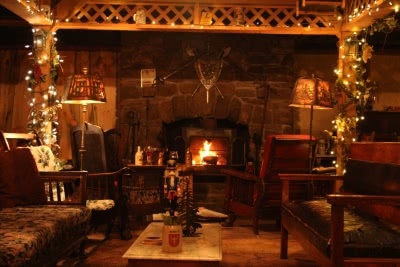 A truly unique gathering space is our Fireside Rathskeller with a large stone fireplace that houses the Adirondacks only hand-crafted Wine & Beer Cellar featured in USA TODAY. 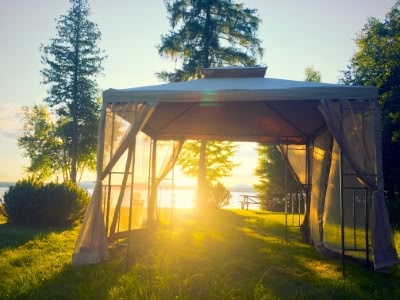 Lake-side Tents on simply one of the most spectacular and secluded bodies of water that serves as the portal to New York State's only wilderness canoe region can be used for larger events. Vaulted Great Camp-style ceiling, immense fireplace, stone patio and beautiful mountain lake view. Our retreat center accommodates 100 guests and overlooks secluded Lake Clear with 21st century amenities including an integrated audio and video system.